Google announced a corporate restructuring on Monday, forming an umbrella company called Alphabet and naming a new CEO to the core business of Google. Google co-founders Larry Page and Sergey Brin will run Alphabet -- Page as CEO and Brin as president. The company, which was founded in 1998 and went public in 2004, announced its new operating structure in a blog post on Monday called "G is for Google." They also said that Sundar Pichai is taking over as CEO of Google. Pichai has worked at Google since 2004, most recently as the senior vice president of product. Pichai has also been the most visible Google executive of late, giving the keynote at Google's annual developers conference earlier this year. Alphabet will operate as the parent company for a number of smaller companies, including Google, which will continue to focus on Internet products. Android, YouTube, search and ads will remain part of Google Inc.
Other departments spinning off into their own sub-companies including research focused Life Sciences (Google contact lenses), the Google X lab (driverless cars, Google Glass, drone delivery), Calico (increasing longevity), and the company's robotics division. 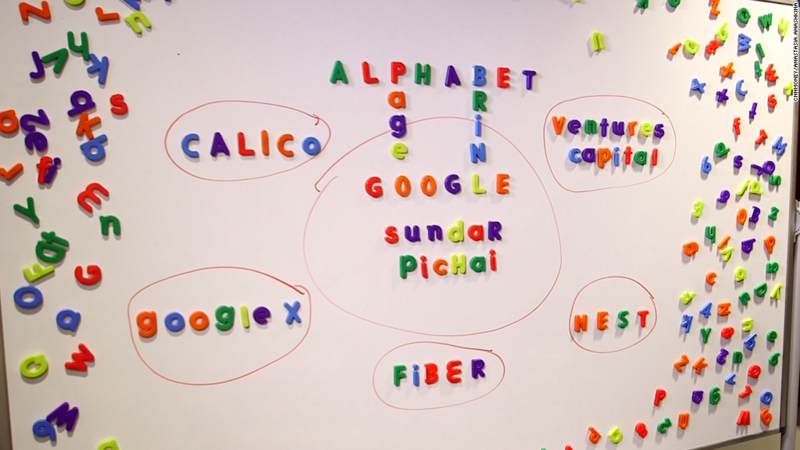 Google Ventures and Google Capital will also become independent Alphabet companies. 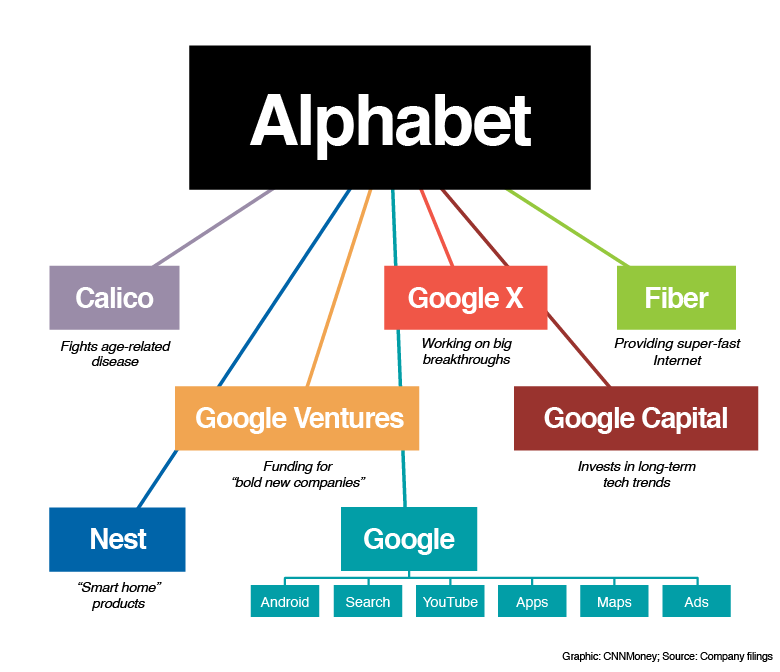 The Alphabet companies will retain their current leadership. Nest will be led by Tony Fadell, Sidewalk Labs by Dan Doctoroff, and Calico by Arthur Levinson. YouTube CEO Susan Wojcicki will now report to Pichai. Brin will continue to head up Google X in addition to his role as president of Alphabet. Eric Schmidt will become Alphabet's executive chairman. "We are not intending for this to be a big consumer brand with related products -- the whole point is that Alphabet companies should have independence and develop their own brands," said Page in the announcement. Page said the companies would all retain a great deal of independence and be run by strong CEOs. The new stand-alone companies will have more freedom to take risks. They can continue to invest in experimental projects like driverless cars without interference from other units at the company, or investors worrying about the company wasting too much time and energy. Last quarter, Google posted $17.7 billion in sales, 90% of which was attributed to advertising it sold through search, partner websites, YouTube and Android. Investors have rewarded the company for its financial success by sending the stock soaring 25% this year. Shares rose another 6% after Monday's announcement. 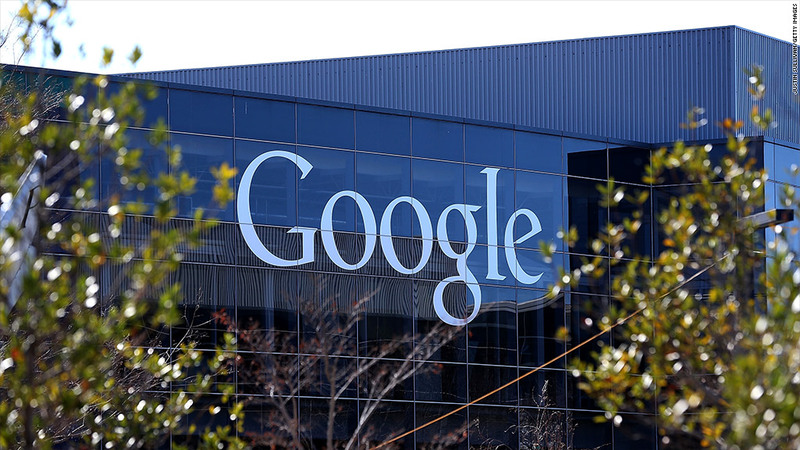 Google recorded $4.3 billion in profit last quarter, and it has $61 billion in cash. Alphabet will continue to trade under the GOOGL (GOOGL) and GOOG (GOOG) ticker symbols when the change kicks in later this year. There's already a new Alphabet website, abc.xyz, which includes a hidden link to the fictional Hooli.xyz website from the HBO comedy Silicon Valley. --CNNMoney's David Goldman contributed to this report. Google wows. Will Apple, Amazon and Facebook follow?